is the SIM card dead? The modest SIM card has drawn lots of focus from the mobile business strategists. After years in which very little of interest has occurred to the SIM card industry, there has been a flurry of news, a few of which have created a lot of worry among system providers. First, Apple was rumoured to have already been operating with SIM seller Gemalto to produce a “soft SIM Card”, that could be provisioned into its products, and (most importantly) re-provisioned over the air, without the necessity to add a physical card whatsoever. That much heat could be generated so by an unsubstantiated rumour is itself eloquent testimony to precisely how delicate this region is. Then, included in a concurrent improvement, the GSMA declared the establishment of the working team of leading providers to produce standards for a SIM card to support machine-to-machine (M2M) apps. However, the traditional SIM card design appears exhausted for many factors The SIM card continues to be the essential symbol of identification in the GSM program, and its successors. What worked nicely within the context of comparatively few high-value clients on long-term contracts works less well today. In a few of the largest and fastest mobile phone networks are frequently changed by growing markets customers, in response to blizzards of advertising offers. With life value virtually a worthless notion for clients like this, the price of buying and managing a physical SIM becomes a major weight for the owner. As an essential source of potential development many providers are seeking to the M2M chance. But the conventional SIM design doesn’t suit nicely here possibly, as M2M modules might have to be designed and examined in the factory but may then spend days if not months in a lengthy supply chain before last active deployment. 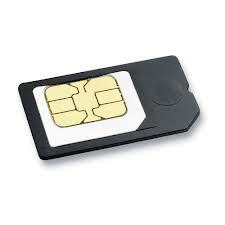 The SIM card can be the data owner of the MSISDN which is responsible for user’s phone number and details. This remains the main challenge for text and for voice calls; but these two might be qualities of decreasing worth. A number of causes are conspiring to remove consumers from their phone figures. Double-SIM and even triple-SIM devices imply that customers are increasingly negotiating around several phone numbers. The actual danger to owner device will originate from other styles of identification instead of new types of SIM card. Even more significantly, the cloud where you can register with our Yahoo accounts on any PC with a browser, and on an Android mobile device. Our details appear on all three, and display as having come in the same account whatever system we use to deliver them. That is equally as accurate for presence and real-time – based applications, including both location – based solutions and VoIP. The user’s FaceTime (Apple’s proprietary video calling technology) and Skype handles are currently independent of the telephone number kept on the SIM card. Efforts to turn the tables, and to make use of the MSISDN as the address for a sponsor of Internet-based services including soft phones, happen to be a noticeable failure so much. Providers who want to prevent the SLIM function should concentrate their powers how to place themselves at the middle of end-users’ federated identities, rather than fretting about the form element of the SIM card.